I didn’t come to seminary looking for a career. I spent most of my early twenties in a “career.” Starting out as a graphic designer, events planner, and marketing coordinator for a large southeastern material handling corporation, I went on to work for the third largest life insurance company in the U.S. followed by a prestigious marketing firm in San Francisco, CA. It didn’t take me very long to figure out that I was not where I belonged. On paper I was successful, competitive, and upwardly mobile. Meanwhile my soul was plunging into the depths of despair. One day in 2007, at the age of 25, I snapped. I turned my back on the whole rat race, vowing never again to return, no matter what the cost. Now whenever people ask me about my “career” aspirations, I tend to have a “been there, done that” sort of attitude. Given my struggle to make ends meet, I can understand how it may not have seemed like the wisest choice on my part to move to the most expensive city in America and take out thousands of dollars in student loans to obtain a “Masters of Divinity,” when I have absolutely no desire of ever becoming a church minister or an academic professor. Yeah, yeah. I know. But this is essentially the manner in which I’ve been making my vocational decisions post-rat-race: I had to “follow my bliss” as they say. I knew that God had accompanied me on my journey this far, I believed that my soul’s passions must exist for some reason or another, and I never forgot that no matter what happened to me, it would ever be as bad as having to live the lie of sitting in a sales meeting at 9:30 in the morning dressed up in business casual clothing talking about how I thought we could sway our target demographic. Basically I had a hunch that if I started feeling my way into the future instead of trying to think myself there, then I might be more likely to actually get wherever it was that I ought to be going. Aaaand just for the record, I was right. It started out as just a quirky part-time work-study job, something more interesting than working in the mail room. But over the next two years, as I began resurrecting the lives and stories of Bertha E. Davis, Robert C. Dodds, Emory W. Ross (how I came to know his red pencil markings so well! ), and Reginald H. Helfferich, along with the heartbreaking tale of William Wilberforce Chapin and his wife Isabel, I slowly realized that this job meant much more to me than a paycheck. Of course it was invaluable in terms of my academic work, for the deeply nuanced historical perspective I gained with regard to the world missionary project and the cross-cultural encounters of the late nineteenth and early twentieth centuries. But on another level, I was also starting to feel like this was the best day job I’d ever had. It just fit me, in so many ways. Right before I left to spend a whole summer in Indonesia, it finally dawned on me. I am born for this job. I literally love every part of it, from the mindless, contemplative tasks of removing staples from piles of documents or labeling piles of folders with my neurotically neat handwriting, to the intellectually challenging and engaging detective work of piecing together the biographies of people that history had almost forgotten. Sometimes I was embarrassed to admit how much I secretly loved it. I mean, no one is supposed to enjoy their job this much. It’s not….normal. How could I ever explain the deep, weird inner satisfaction that I get from labeling, organizing, and putting things into their proper places? How could I convey the Christmas-morning-like excitement that I feel opening a whole new unprocessed box filled with unknown treasures – handwritten letters, diaries, photos, slides, newspaper clippings, manuscripts – and having to figure out what’s in here and why anyone would care? I also loved that I could sit at my desk with my headphones on and block out the world with the music of my choice as I attempted to discern cursive handwriting from the 1800s or place old photos into Mylar envelopes or make copies of old documents that were turning to dust. Every now and then, I even got in a miniature workout as we moved cartons of paper up and down the maze of stairwells in our Hogwarts-esque library tower. 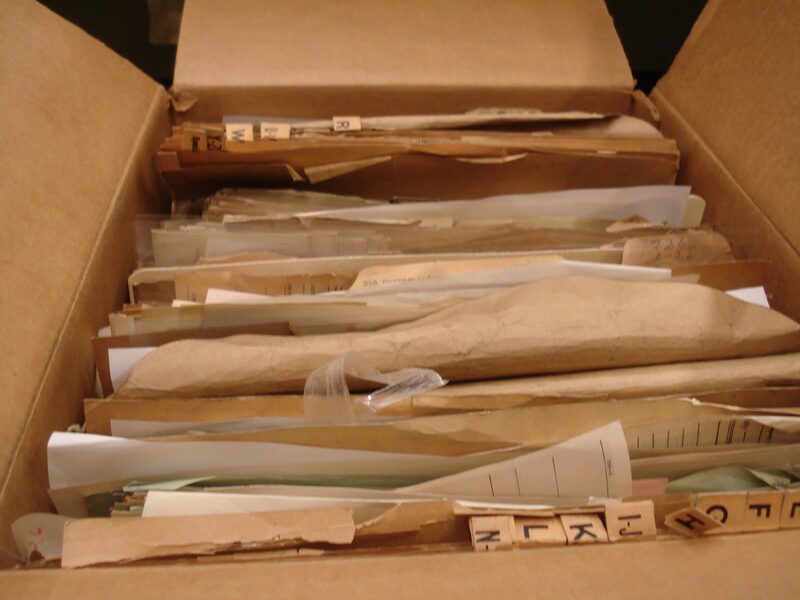 The labor of archives is academic and administrative, mundane and unpredictable, methodical and intuitive, intellectual and hands-on, solitary and interpersonal. It’s like everything I ever wanted in a day job, and I’m starting to think that perhaps by coming to seminary I managed to stumble across something like a career path after all. At least, it is something that I feel like I could happily do as a “day job” for a long, long time. Recently I saw It’s a Wonderful Life again, and I was struck by one scene in particular at the very end [SPOILER ALERT], when George Bailey’s guardian angel Clarence is showing him what the world would be like if he had never been born. 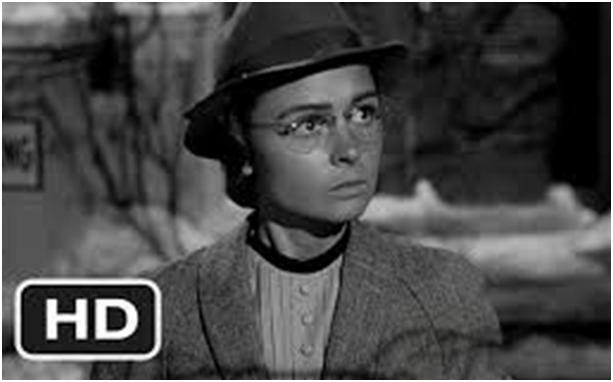 The town of Bedford Falls had become Pottersville. Mr. Gower had gone to prison for twenty years. Ernie’s wife had left him. Uncle Billy went to a mental institution. And George’s little brother Harry died at the age of nine, so he was unable to save the lives of a number of soldiers during the war. “What?! Where is she? !” he yells. I do have to say, the melancholy horror of this moment is somewhat lost on me. She never married? She works at the library? I don’t know…. that sounds like a pretty wonderful life to me. This is why you can't ever let anyone define success for you. Success happens along the way, in those moments when you remember who you truly are because you find yourself being it. And honestly, I have had so many of those moments working on the fifth floor of the Burke library….tiny, fleeting moments of success in which I felt like I knew myself, and I felt happy. For that, and for the laughter and the solitude and the insights (and even the dust), I am so grateful for my work there. I am sad to be leaving, but as I finish up this last semester at Union Theological Seminary, I am excited to imagine the path forward, still steering towards my heart’s horizon, but now with the practical experience, skills, and self-knowledge that will hopefully open up new opportunities for success along the way. Thanks especially to Brigette, Liz, Matt, Anthony, Amy, Ruth, and Beth for teaching me so much and for making me always feel part of the Burke family. This entry was posted in Student Entry on December 24, 2013 by Kristen Leigh Southworth. For the last couple of months at the end of every week, I greet the guard, shove my belongings in a locker and head to the archives. Although there are some days that I am exhausted, I enjoy coming to work at the Burke Archives. The fact that every day at the Burke is interesting sounds like a cliché, but it is indeed true. I often find cool things in the archives and daydream about interesting research projects that would reveal the awesomeness of Burke's collections to the world. 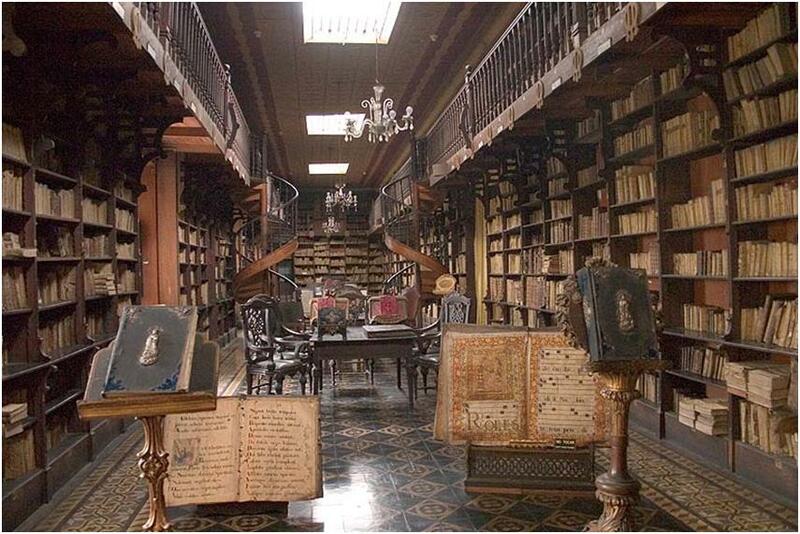 There are times that I have felt like Indiana Jones like the time I had a chance to see old Bibles with unique calligraphy and a document from the Spanish inquisition. I also pretend to be Sherlock Holmes when I conduct research and put together fragments of someone's life to create a finding aid. At this point my friends are tired of hearing my stories about cool maps, interesting personalities and speeches I come across while working with archival collections. It is quite obvious to them that I enjoy my time here. This last week at the Burke Library Archives, I reflect back on what I have learned. When I started I did not know anything about ecumenism and I did not imagine that a seminary would have such a diversity of records. I knew little about how academic libraries functioned and had limited practical experience working with archival collections. I leave here with practical experience and an understanding of archival administration. For most people the idea of observing pest control measures and participating in open access week does not sound relevant to the field but the exposure to these tasks was a valuable opportunity to see how an archive functions within the larger scope of a university and how maintenance of the space in which they are housed affects the collections. My supervisor, Brigette always made sure I understood how every task fitted into the larger goals of the institution and related what I learned to library administration. These were real issues that library and archive professionals had to face and it was important for me to learn about them. My experience working here put into perspective the notion of serving users and their information needs. I had a chance to participate in a way finding study and learn how libraries communicate with their patrons. While writing finding aids, I learned about the library’s resources and that helped me create a user friendly document that could serve as a resource for further research. I also received training on EAD, a coding standard that expands the possibilities of access and assists with the preservation of archival information. Other great things I learned was how new acquisitions are transferred and the process it involves, including packaging and delivery. I also attended a workshop on Viewshare, a software used to visualize data which gave me the opportunity to see how visual tools can enhance collections. I even learned smart tips for installing library exhibitions. At Burke I have had the opportunity to wear many hats and apply what I have learned in the classroom. Beyond this, I have learned about the current state of the field and real-world scenarios. I am very grateful for the Burke staff and the time they have taken to teach me new things. I am particularly grateful for my supervisor, Brigette Kamsler, who, in addition to teaching me about archives took the time to teach me practical skills for my job search. As a soon to be graduate of a library studies program, I look forward to taking what I have learned here and applying it to a future position as an archivist. I am sad that this internship is coming to an end but I am excited about the opportunities that lie ahead. This entry was posted in Student Entry on December 23, 2013 by Rossy Mendez. 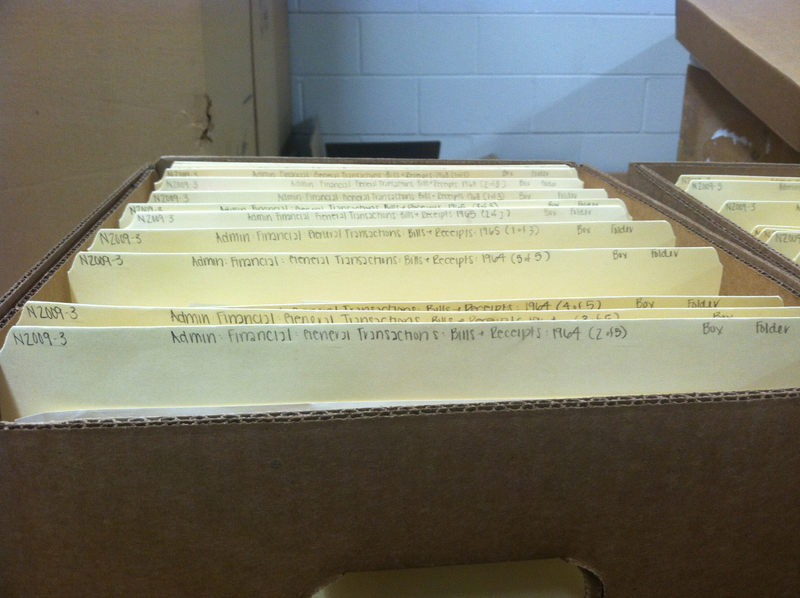 One of my favorite experiences while interning at Burke has been to inventory the MRL unprocessed records. I was working on records pertaining to China when I came across a very interesting letter, written by woman named Gertrude. Perhaps it was a result of daydreaming about the Titanic or that I had recently seen a video about ships, but for whatever reason the letter captured my attention. The header of the letter read “American President Lines, On board S.S. President Jackson,” the name of the vessel sounded familiar and I was set to determine why. I also noticed that the letter was dated December 1946, not that long after World War II had ended and I was curious to see what was happening in the world after such an event. I decided to read the full letter and was pleased to find it amusing but also very informative. The author paints a full picture of the characteristics of the ship including the arrangement of the sleeping quarters. She also describes the passengers on board and their customs. I was struck by the detail of the letter and the interesting facts that it revealed. Why was this diverse group of people aboard a troop ship? What was happening with mission work in China during the 1940s? A quick search on Google revealed the interesting origins of the S.S President Jackson. The American President lines had been providing services since the 1850s. This ship was part of a famous fleet that was built by the American Government when they took over the company during World War II. The ship was a C-3 class vessel, a type of cargo ship that could be converted for naval use. The S.S. President Jackson was used to transport soldiers but also to evacuate passengers from several destroyed ships. Not only was this ship a war ship but it earned several battle awards for its service during World War II and the Korean War. It appears that after the war the ship continued to be used as a regular transport ship, though, no doubt not one of the most luxurious options. As the writer of this letter reveals, this was no luxury vessel; the sleeping quarters were cramped and these conditions contributed to the spread of disease. Another interesting fact that the letter reveals is that this ship was being used by the Foreign Missions Conference and that there were over 58 different denominations on this ship. A little research revealed that this period of time was an intense period in China for evangelism. The church had grown dramatically as a result of the war, including the birth of many independent denominations. In 1946, when the letter was written, communist forces started to take over China and this resulted in a mass exodus of missionaries. The writer reveals that there were many families on board the ship and that life is China was drastically different from what many missionaries experienced at home. Therefore, the excitement that is conveyed in this letter is one that might have been felt by many as they returned home. Finding these little bits of history is exciting and is a great part of what makes archiving so rewarding. It is always interesting to see how someone’s perspective can provide insight into historical events. I am happy that I had a chance to come across such an interesting record before I leave Burke. To read Gertrude's full letter, please click here. The finding aid for Burke Library's Foreign Missions Conference of North American collection is available online here. Wikipedia contributors. "American President Lines," Wikipedia, The Free Encyclopedia, http://en.wikipedia.org/wiki/American_President_Lines (accessed December 20, 2013). Overseas Missionary Fellowship International. “History” http://www.omf.org/omf/us/about_omf_international/history/timeline(accessed December 20, 2013). This entry was posted in Student Entry on December 20, 2013 by Rossy Mendez.